I’m always extremely thankful for my husband, but even more so after our Anniversary Experience with the oh so talented Abby Grace. He always amuses me when I tell him (for the 1,294 time) we are having our pictures taken, but especially on this chilly Monday in November when he took the afternoon off of work to drive into DC in the fanciest clothes we own to laugh and dance in front of Abby (its impossible not to have a good time with this girl). As a photographer, I think its easy to understand why I would stress the importance of having these images captured of us after one year of marriage. After all life isn’t always full of perfect moments with your make-up done and a shirt and tie with a professional photographer there to capture it in the perfect glowy light. However, these images will be there when we fall on tough circumstances. Even though we have our less than picture perfect moments, these images will serve as a reminder long after our first anniversary how wonderful it is to be married to each other and how much happiness we shared our first year of marriage. 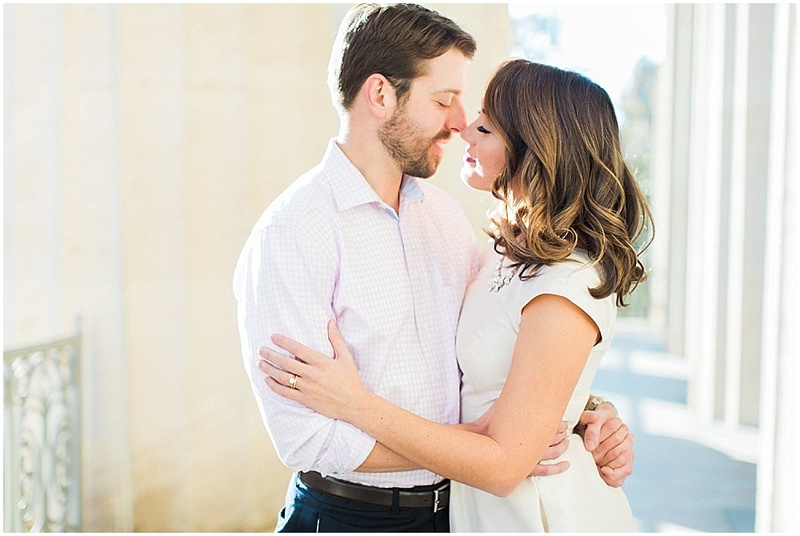 Here are a just a few of our favorites, to see more, check out Abby's blog post!